12 August 2008, at 7:52a.m. 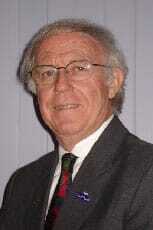 GLOBAL - Dr Bob Pym of Australia is the new president of the World's Poultry Science Association (WPSA). Dr R.A.E. (Bob) Pym has become the new President of the WPSA worldwide. As he takes on this mantle, the WPSA writes that it has been privileged take a closer look at Bob’s CV, and how he has contributed to poultry science since his student days. Bob is Australian by birth and has been a major player in both eduction and interaction with commercial poultry production. "He will represent the WPSA well, as he is a very genial person, who is inclusive and welcoming to all poultry scientists. I would like to personally extend my best wishes to him for the forthcoming presidential term." Following graduation with a Bachelor of Rural Science from the University of New England in 1965, Bob Pym joined the New South Wales Department of Agriculture as a Livestock Research Officer in poultry genetics at the Poultry Research Station at Seven Hills in Sydney. Over the next 19 years his research focussed on genetic and physiological aspects of feed utilisation efficiency and body composition of meat chickens. His work on feed efficiency was instrumental in the adoption of direct selection for food utilisation efficiency, firstly by Australian poultry breeding companies, and later by the large international breeders. His MSc in 1971 (University of New South Wales) and PhD in 1977 (University of New England) were both focussed on this area of study. In 1980 he developed a set of abdominal fat callipers for use in chickens which were widely used by international breeders as an objective and accurate measure of fatness in their broiler breeding programs. In 1984, Bob moved from Seven Hills to the University of Queensland in Brisbane where he was appointed Senior Lecturer in Poultry Science in the School of Veterinary Science. His own research continued in the above areas until the mid 1990s when research support fell away as a result of the Australian poultry breeding companies making a decision to cease broiler breeding programs and to import overseas selected grandparent stock. Prior to this Bob had developed an interest in small-scale family poultry farming in developing countries and from the early 1980s was involved in courses and development projects in a number of countries including Indonesia, South Africa, The Philippines, Cambodia, Burma and Lao PDR. This led to a sabbatical with FAO in Rome in 2005 during which time he worked closely with the FAO personnel involved in support of small-scale sector 3 and 4 poultry farmers in developing countries. The focus of the sabbatical was to maximise interaction between WPSA and FAO and the other organisations and agencies supporting poultry production in developing countries. This culminated recently in a major program and workshop in this area at the 23rd World’s Poultry Congress in Brisbane. He was one of the driving forces behind the establishment of the 1st Working Group of the WPSA Asian Pacific Federation on Small-scale family poultry farming and organised the Asian Pacific Federation working group symposium on HPAI and Small-scale Family Poultry Farming in Bangkok in March 2007 to coincide with the 8th Asian Pacific Poultry Conference. At the University of Queensland, he lectures to Veterinary and Agricultural Science students on poultry husbandry, genetics and breeding, monogastric nutrition, poultry reproduction and monogastric production systems. He has supervised some 23 successful postgraduate candidatures (12 PhDs), in a range of areas. He has published widely in the above research areas and has been invited to speak at numerous international conferences and meetings since the early 1980s. Bob has been President of the Australian Branch of WPSA since 1993, was a member of the Australian Egg Industry Research and Development Council from 1989 to 1998 and was awarded the Australian Poultry Award in 1995. Bob has been periodically Editor of the annual Australian Poultry Science Symposium since 1998 and is on the International Editorial Board of WPSJ. In 2003, following the sad passing of Dr Bruce Sheldon, then Senior Vice President on the WPSA Board, Bob replaced Bruce on the Board until the 22nd World’s Poultry Congress in Istanbul in 2004. In 2000 he headed the successful bid for the 23rd World’s Poultry Congress and was Chair of the Congress which was held in Brisbane from 30 June to 4 July 2008. In his closing remarks at the recent Congress, Bob expressed the desire that during the term of his presidency, WPSA will focus its attention on the challenge of assisting the global poultry industry to maintain its efficiency and ensure its sustainability and in so doing have a meaningful and lasting impact on the burgeoning world food crisis in developing countries.